Upon completion of her Ph.D., Dr. Perkins did a Post Doctoral Fellowship in brief psychotherapy in a multidisciplinary medical setting. She then worked in this setting as a Staff Psychologist for an additional four years. Dr. Perkins trained other Post Doctoral Fellows and consulted regularly with physicians to optimize patient care. 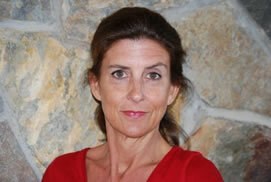 In 1991, Dr. Perkins moved overseas to Frankfurt, Germany where she lived for several years. During this time, she treated military dependents and ex-patriots in a private practice setting. Dr. Perkins has been living and working in Northern Virginia for the past 15 years. At this point in her career, she works exclusively in private practice. She has the good fortune of being part of a dynamic group of therapists who provide invaluable consultation and collaboration. This makes for a stimulating work environment as well as an optimal therapeutic setting. The group is committed to remaining current with clinical research and practice. In addition to the ongoing peer supervision within the practice, Dr. Perkins regularly attends conferences and trainings.